Fundraiser by Joe Beasle : Cleaning up Cambodia! Hi, we are 2 dedicated individuals, Bib & Joe, trying to make a difference in Cambodia. E.C.H.O - Educational Conservational Housing Opportunities. E.C.H.O is an educational recycling scheme which aims to take as much waste as possible and turn it into building materials and other resources, enabling us to create affordable housing in Cambodia, whilst cleaning up the country at the same time. There are no major recycling centres in Cambodia, although some waste is recycled e.g. aluminium cans, that are generally collected and then exported to China, Vietnam or Thailand in exchange for money. There is a huge lack of knowledge about the effects of landfill and disposal of waste. This is evident from the limited local rubbish collections and the choking smell of burning household waste at the sides of the roads on a daily basis. This is incredibly harmful! 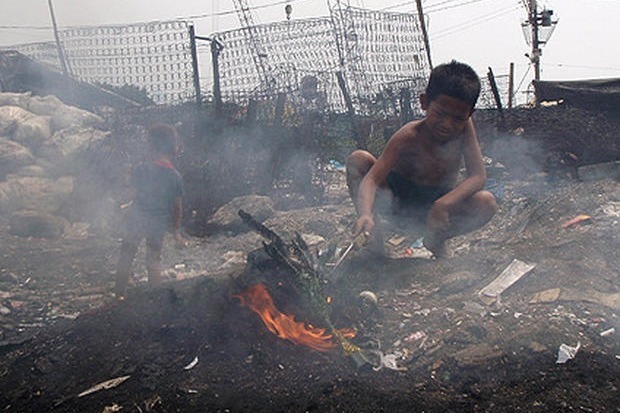 Burning plastic releases Dioxin which is the most carcinogenic chemical known to man, all the while children play idly around the smouldering piles of rubbish, unaware of the life threatening side effects. Our new project, E.C.H.O aims to take this to the next level! We have been looking at different ways to incorporate both recyclable and non-recyclable waste into building materials such as bricks, roof tiles, floor tiles, doors, windows, fabrics and even furniture. Since we started, earlier this year, we have found more and more possibilities to recycle different materials. We have even started a local recycling collection service and through this are gradually educating more and more businesses about what is and is not recyclable. In doing this we will create Cambodia's first multi-waste recycling centre!!! Some of these materials are a nightmare to recycle even at recycling centres in more technologically advanced countries, but we genuinely believe we can find a use for almost anything that is thrown out. Our plan is to give back to the community in as many ways as possible. For example, when we are fully up and running we will be offering local schools the opportunity to bring students to our workshop and show them that there ARE ways to reuse and recycle waste, and to teach them about the harms of both dumping and burning it. We have cartoon strip information booklets ready to issue to the students that they can take home and show their parents as well. Also we are making a promise to donate a percentage of the building materials we produce to community projects. 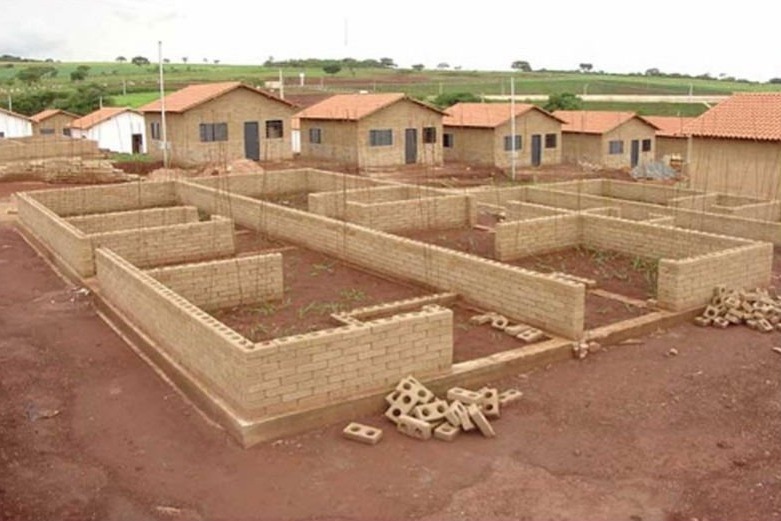 We estimate that for every 10-20 house bricks we make, we will be able to donate 1 brick (5-10% of what we produce). When we have enough bricks to build a room then we will approach whoever needs it the most. Whether it be a new classroom for a school, an extension to a medical centre, or a house for a family in need, we will donate our materials and time. We'll invite volunteers from businesses that have contributed to the recycling effort to come and help for a day and give back to the local community. We also have the backing of a local bottled water company who are prepared to provide free water on the day as long as we recycle any waste from it afterwards. A win-win-WIN situation! E.C.H.O will be a shining example of how everyone can work together to achieve great things, all the while helping to further educate those less well informed. With this inventory we can do SO much to help clean up our local area, provide housing opportunities across the country, educate future generations, and provide inspiration for others to follow in our footsteps; your donations will go a long way towards helping us achieve this. Thank you for taking the time to read this, and thank you for supporting us. Please share this page if you haven't already. 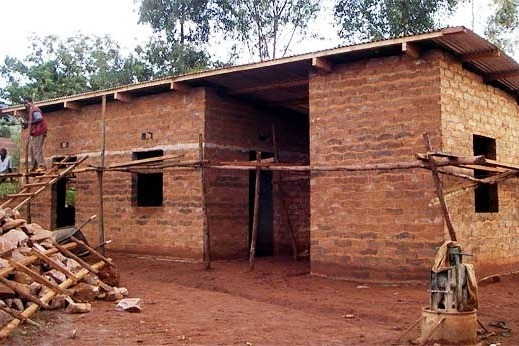 *please note that the pictures of houses above are examples of what has already been achieved in other countries, but without using recycled materials. We will be using the same building methods in Cambodia whilst also including recycled waste in the process.